LAWS, TEACHINGS, AND INSTRUCTION FROM TORAH, GOD’S LAW OF MOSES. Shalom. Our teaching today will continue from Torah, GOD’S Law of Moses. And the title of our message is, Laws, Teachings, and Instruction from Torah, GOD’S Law of Moses. And with that said, let’s read Leviticus 19.1-15. And The LORD commands us to have reverence for our mother and father. That is to say, we must have deep respect for our mother and father. And The LORD commands us to keep His Sabbaths. All GOD’S Sabbaths, including the Saturday Sabbath are written in Leviticus 23. I AM THE LORD YOUR GOD, The LORD OUR GOD says to us. And The LORD commands us not to turn to idols, or make an idol. The worship of idols or other gods is synonymous with paganism, the belief in more than one god, or many gods. The ONE GOD is Yeshua The Messiah Who created Heaven and earth, and all that is in them. John 1.3. Who created Adam and Eve and all mankind. Who appeared to Noah, Abraham, Isaac, Jacob, Moses and the Children of Israel. Who wrestled with Jacob. Who is The Jewish Messiah, born and given to the Jewish People. Isaiah 9.6(5). Who gave His Life for us as a human being for our Atonement. Many people are taught INCORRECTLY that Jesus is GOD, but not GOD The Father. That is not Biblical. John 14.9, Isaiah 9.6(5). Thus making Jesus another god, even an idol of worship. Jesus, His Hebrew Name is Yeshua, meaning Salvation, Deliverance, Victory, and Health, is JEHOVAH ELOHIM, THE ONE GOD OF CREATION. LEVITICUS 19.5-8 The peace offering was an animal sacrifice that was offered to The LORD by the Priest for a sacrifice of thanksgiving, for a vow, or a voluntary offering. Leviticus 7.11-21. The sacrifice was eaten the same day it was offered, and the following day. And on the third day, any flesh remaining was burned with fire. Anyone who disobeyed The LORD and ate the flesh of the sacrifice on the third day was responsible for his sin of disobeying GOD because he profaned the sacrifice that is sacred to The LORD. And because of that person’s disobedience to The LORD GOD, he was cut off from among his people. The Jewish People and the Gentiles living among them in the days of the animal sacrifice were certainly taught to repent and receive forgiveness from The LORD for their sins. Just as we are taught in Scripture to repent and receive forgiveness for our sins. Repentance is turning from our sins of breaking The Law of Moses, 1 John 3.4, Numbers 5.6, and turning to GOD and obeying His Laws that are written in The Law of Moses. JOHN 6.46 No man has seen The Father in His spiritual nature except Messiah Yeshua Who is The Father. John 14.9, Isaiah 9.6(5). But when GOD appears in physical form as He appeared to Abraham, Isaac, Jacob, Moses, and others, and as Yeshua appeared to the Jewish People in Israel, GOD can be seen. Genesis 17.1, Exodus 33.11. etc. The key to believing and knowing that there is only ONE GOD, and that Yeshua The Messiah is that ONE GOD is believing The Bible that teaches that there is only ONE GOD, and no other gods beside Him. And since Yeshua The Messiah is GOD, it is Biblical truth that Yeshua The Messiah is The ONE GOD OF CREATION. Many New Testament Scriptures and even some Old Testament Scriptures make it difficult to understand that there is only ONE GOD when Scripture speaks of GOD, and The Father, and Yeshua, and The Spirit, and The Holy Spirit. And Yeshua speaking to The Father. Or The LORD said to my LORD, Psalm 110.1. But we must believe GOD when He says there is only ONE GOD and no others beside Him. Or as The New Jewish Publication Society Bible reads in Deuteronomy 6.4, “Hear O Israel, The LORD is our GOD, The LORD ALONE.” That is to say, GOD ALONE is GOD. There are no others. Thus when reading about GOD The Father, The Messiah Yeshua, The Spirit, and The Holy Spirit, know, believe and understand that THEY ARE THE ONE AND THE SAME GOD. They are not different. THEY ARE ONE AND THE SAME. There is absolutely no difference in doctrine in The New Testament and The Old Testament except for atonement. Without the Temple, the animal sacrifice has ceased. Leviticus 17.8-9. Messiah Yeshua was ordained by GOD to be our atonement as written in Isaiah 53.10. His Soul is an offering for sin. Okay, let’s return to JOHN 6.47-59 where Yeshua was making a comparison of the animal sacrifice and Himself. Not long after Messiah spoke those words, He gave His Life to be our Atonement as the sacrificed animals accomplished atonement for the Jewish People in Tabernacle and Temple times. Isaiah 53.10 prophesies that His Soul is an offering for sin. Psalm 22 prophesies of Messiah’s sacrificial death. The words of John 6.47-59 are symbolic language. Yeshua is comparing Himself to the animals that were sacrificed for atonement, for peace offerings, and for thanksgiving. When we symbolically eat the flesh of The Messiah, we absorb everything The Messiah Is. We become like Him. We live our life like Him. We become obedient to GOD and His Torah, The Law Of Moses. We think like Messiah. And we become grounded in The Word Of GOD, receiving The Truth and rejecting the lies. Messiah Yeshua becomes our example to follow. He is the bread of life that gives us eternal life. LEVITICUS 19.9-10 You shall not reap, that is harvest your crops all the way to the edges of your field. You shall not pick your vineyard bare, or gather the fallen fruit of your vineyard. You shall leave them for the poor and the stranger. I AM The LORD YOUR GOD. LEVITICUS 19.11 You shall not steal, nor deal falsely, neither lie to one another. A lie or a false statement or theft leads to deceit, denial, cover up, and often leads to a false oath making The LORD’S Name party to the act. Thus profaning the Holy Name of GOD. So The LORD becomes a party to what began as a matter between two or more people, which leads to VERSE 12. LEVITICUS 19.12 You shall not swear falsely by My Name thereby profaning The Name of your GOD. I AM THE LORD. Therefore, do not steal, or deal falsely with anyone, or lie one to another. And never use The LORD’S Name in vain. A Proverb I’ve always cherished is PROVERBS 23.23. LEVITICUS 19.13 You shall not defraud anyone. That is, you shall not wrong anyone, nor rob or deceive, or do any violence to anyone. LEVITICUS 19.14 You shall not curse the deaf, nor put a stumbling block, that is an obstacle before the blind. But you shall fear your GOD. I AM THE LORD. Some interesting thoughts on cursing the deaf, or putting a stumbling block before the blind. You should not take unfair advantage of anyone. Nor exploit or take selfish advantage of others by capitalizing on their ignorance or vulnerability. Also, do not give bad advice to an unsuspecting person. And do not cause anyone to sin. Remember, sin is violating The Law of Moses. 1 John 3.4, Numbers 5.5-6. How often are we told that we don’t have to obey The Law of Moses? Is there any worse advice than that? Look at the world around us. The world is being hammered by GOD. Not mother nature. Because the world is in disobedience to GOD, and His Law of Moses. And the world tells us we don’t have to obey The Law of Moses. LEVITICUS 19.15 You shall not do unrighteousness in judgment. Unrighteousness is NOT DOING what The Law of Moses tells us to do. Judgment is making a decision, or a verdict, or sentencing a person. GOD is saying that The Law of Moses must not be violated in judgment. Judgment must be according to Torah, The Law of Moses. Posted on May 31, 2015 May 31, 2015 Categories Shabbat MessageLeave a comment on LAWS, TEACHINGS, AND INSTRUCTION FROM TORAH, GOD’S LAW OF MOSES. THE FEAST OF WEEKS, ALSO CALLED SHAVUOT OR PENTECOST. Shalom. Our teaching today will be about The LORD’S Festival called The Feast of Weeks. Also called in Hebrew Shavuot meaning weeks. And also called Pentecost from the Greek word meaning fiftieth. And our teaching will come from The Torah, The Law of Moses from Leviticus 23.15-22. So with that said, let’s read Leviticus 23.15-22. LEVITICUS 23.15-16 The King James Bible reads, “A new meat offering”. The correct translation is, a new grain offering to The LORD. The morrow, or the next day after the Sabbath is the day after the first day of Passover. The first day of Passover is a Sabbath. Thus fifty days from the second day of Passover is The Feast of Weeks, also called Shavuot or Pentecost. It is Jewish tradition to have a counting of the omer from the second day of Passover to the evening of Pentecost. Omer in Hebrew means sheaf. A sheaf is a bundle of newly bound harvested barley. Barley is a grain made into bread and other foods. The counting of the omer is daily for seven weeks from the day on which the sheaf of grain, or the omer was offered before The LORD on the second day of Passover to the evening of Pentecost. And this tradition is taken from Leviticus 23.11. LEVITICUS 23.11 The Priest shall wave the omer, or the sheaf, the bundle of newly harvested barley before The LORD to be accepted for the People on the morrow, or the next day after the Sabbath. The Sabbath is the first day of Passover. The morrow, or the next day, of course, is the second day of Passover. That is the beginning of the counting of the omer, from the second day of Passover for forty-nine days to the evening of Pentecost. Tradition says that the counting of the omer serves to connect the anniversary of the Exodus of the children of Israel being freed by The LORD GOD from 400 years of Egyptian slavery on the first day of the first Passover with the Festival of Pentecost. And that is a reminder to the Jewish People of GOD giving us The Torah on Mt. Sinai. The tradition is correct about counting fifty days from the second day of Passover to Pentecost. But not about being told that The Torah would be given to them fifty days after the Passover. That is not in The Scriptures. But what is so important about this tradition and our love for The Torah is the insult to GOD and to the Jewish People, is when we hear others tell us that The Torah, which is the written Word of GOD, is no longer valid. That is wrong. It shows disdain for GOD. And it is offensive and sinful. So let’s read what happened on the day the Children of Israel received the Ten Commandments on Mt. Sinai, and not The Torah. Although the Ten Commandments are the foundation of The Torah. Let’s read EXODUS 19.1-25 AND EXODUS 20.1-20. (Exodus 19.1, 11) The third day of the third Hebrew month is the third of Sivan. Pentecost is always on the sixth of Sivan. So tradition is off by three days. But the Truth of GOD is perfect. Let’s look at Exodus 20.4-6, the Second Commandment. GOD says in Verse 6 that He will show mercy to them that love Him and keep His Commandments. The Hebrew word for Commandments, as in GOD’S Commandments is, MEETS’VOTE meaning GOD’S entire Law of Moses. GOD will show mercy to those who love Him and keep His Commandments. Those who obey Torah, The Law of Moses. Yeshua, Who is Jehovah, said similar words in JOHN 14.15-16. GOD gives us The Holy Spirit when we believe in Messiah, and obey His Commandments, The Torah. So I did a little investigation why tradition says that we would be given The Torah on Pentecost rather than the Ten Commandments. Here’s what I came up with. According to certain Rabbis called Classical Rabbis, The Bible says that Moses stayed on Mt. Sinai for forty days and forty nights with The LORD. Exodus 34.28, etc. Clearly, they say, this was too long a time for a short legal collection of the Ten Commandments to have been conveyed to him by The LORD. And thus traditions developed that Moses received the entire written Torah from GOD at that point. And Moses simultaneously received the oral law known as the Talmud which serves as an authoritative interpretation of the written Law, The Torah. It boggles the mind how religions tell us what GOD said or meant when more often than not, Scripture does not back up their claims. Let’s continue on with LEVITICUS 23, VERSE 17. Besides being a Festival for The Torah, Pentecost also celebrates the conclusion of the grain harvest. Thus Pentecost is also a harvest holiday, and a happy festival. LEVITICUS 23.18-20 Something rarely mentioned in Jewish commentaries about Pentecost and all The Festivals of The LORD written in Leviticus 23 are the animal sacrifices required by GOD for atonement. The animal sacrifices remind the Jewish People today, and all Peoples that The LORD GOD requires atonement for our sins by the shed blood of a sacrifice, Leviticus 17.11. And without The Temple, and without the animal sacrifice, The LORD still requires atonement for our sins to remain written in GOD’S Book of Life. Exodus 32.33. Our Atonement was Messiah Yeshua’s Anointing 2,000 years ago at His first coming to Israel. His Anointing was to give His Life and shed His Blood for our Atonement, fulfilling The Prophesy of Jeremiah 31.31-34. GOD further explains that in prophesy in Isaiah 52.13-15 and Isaiah 53.1-12. LEVITICUS 23.21 Pentecost and all GOD’S Festivals written in Leviticus 23 are Holy Convocations. A Holy Convocation is a special gathering of the People for a Service devoted to GOD Almighty. To observe it as a Holy Day and a Sabbath. No work is to be done on that day in honor of The LORD. And a Holy Convocation is also a rehearsal because we will celebrate all the Festivals of GOD forever. In the Millennium in Israel, and throughout eternity in Heaven. It is a Statute forever. LEVITICUS 23.22 GOD’S thoughts are always with the poor and the stranger, the non-Jewish Person. Messiah came to this earth 2,000 years ago without any reputation, in the form of a servant to give His Life for our Atonement, for Jewish People, for non-Jewish people, for the wealthy, and for poor people. When Messiah cried out with a loud voice, saying, “My GOD, My GOD, why have You forsaken Me? ” Messiah became fully human because GOD left Him for a time so He could die and give His Life for our Atonement. Suffering an excruciating death similar to a sacrifice. GOD can never die. Human beings die. Messiah was fully human when He died. But GOD re-entered His body, and He resurrected three days later. So Pentecost is a Festival of The LORD fifty days from the second day of Passover. The Festival is a happy occasion, and it celebrates the food that GOD gives us. Pentecost reminds us that all people require atonement for our sins. Our Atonement today is The Messiah Yeshua through His sacrificial death and shed blood. The Festival is a Holy Convocation, a special day devoted to The LORD Our GOD. It is a Sabbath. No work is to be done on Pentecost honoring The LORD Our GOD. And we should remember the poor and the stranger. And Judaism sees Pentecost as the day that GOD gave The Torah to the Jewish People. And personally, I like that tradition. A couple thoughts before closing this message. The church sees and teaches that The Pentecost in The New Testament was the beginning of the church. Nothing can be further from the truth. The 3,000 people who received The Messiah Yeshua at that Pentecost Service were all Jewish. Not Christian. This is what the Believer in Messiah must do. It is written. That is the formula for eternal Life in Heaven. And you will be GOD’S People, and He will be YOUR GOD. Posted on May 25, 2015 May 25, 2015 Categories Shabbat MessageLeave a comment on THE FEAST OF WEEKS, ALSO CALLED SHAVUOT OR PENTECOST. YESHUA THE MESSIAH IS JEHOVAH. Shalom. Our message and teaching today is from Torah, The Law of Moses, from Leviticus 19.1-4. And The Title of our teaching is, YESHUA THE MESSIAH IS JEHOVAH. And with that said, let’s read Leviticus 19.1-4. LEVITICUS 19.1-2 As we taught last week, it is through the study of Torah, The Law of Moses that the individual learns the Will of GOD, and the Holiness of The LORD OUR GOD. We become Holy by living according to every Word GOD speaks in The Bible, and every Law, Teaching, and Instruction that GOD commands all mankind to live by in The Law of Moses for their good. Along with your Atonement in Yeshua The Messiah. LEVITICUS 19.3 The Holy One of Israel says, Everyone must fear their mother and father. I AM THE LORD YOUR GOD. We must reverence our parents. Have deep respect for them, The LORD GOD commands. And we are required to keep the Sabbaths of The LORD. I AM THE LORD YOUR GOD, The GOD of Creation says. The word evening in Hebrew is EH’REHV meaning dusk, when the sun goes down. Ten days later is another Sabbath on The Day Of Atonement. Leviticus 23.26-28. And five days after The Day Of Atonement is another Sabbath on the first day of Sukkot meaning Tabernacles or Booths. And the eighth day of Tabernacles is a Sabbath. Leviticus 23.33-36. Since the church has abolished every Law, Teaching and Instruction of GOD that are written in The Law of Moses, church people do not observe even one Sabbath of The LORD GOD. The LORD’S weekly Sabbath is Saturday. Not Sunday or any other day. Christmas, easter, good friday, lent, and Halloween are not Sabbaths or festivals of The LORD. None of these holidays are found in The Bible. The King James Bible calls Passover easter in Acts 12.4. With chutzpa, audacity and disregard, the church has changed all GOD’S Laws, Teachings, Instructions, Festivals and Sabbaths. LEVITICUS 19.4 Idols and molten gods are images and physical representations of gods for worship. That is synonymous with paganism. THE TRINITY OF THREE DISTINCT AND DIFFERENT gods was first proposed during Constantine’s Council of Niceae in A.D. 325. And the final form of the trinity within the Nicene Creed became church law at the Council of Constantinople in A.D. 381. The church asked, who is Jesus Christ? Was He a mere man? Is He an Angel? Or is He GOD? And if He is GOD, are there two gods? Let’s compare what The LORD our GOD teaches in The Bible, and what the final doctrine of the church is. GOD teaches us that THERE IS ONLY ONE GOD. That THE LORD HE IS GOD. There is none else beside HIM. HE is GOD in heaven above, and upon the earth beneath. There is none else. Understand that I AM HE and before ME there was no god formed, neither shall there be after ME. I EVEN I AM THE LORD, AND BESIDE ME THERE IS NO SAVIOR. I AM GOD. The church teaches the real deity of The Father, The Son, and The Spirit while maintaining a distinction, or DIFFERENCE of persons in The Father, Son and Spirit. Thus the church teaches three different and separate gods in one god. That is a contradiction. It is impossible for both to be true. Either there is ONE GOD or three different gods. The trinity teaches The father is a god, the son Jesus is a god, and the spirit is a god. The church teaches that Jesus is NOT The Father. THUS THE CHURCH CLEARLY TEACHES POLYTHEISM, THE BELIEF IN MORE THAN ONE GOD. The truth of The Bible is this. Jesus, Whose given Hebrew Name at birth is Yeshua, meaning Salvation and Deliverance, Whose Title is Messiah, IS JEHOVAH, GOD ALMIGHTY. YESHUA THE MESSIAH IS THE FATHER. HE IS THE SON, AND YESHUA THE MESSIAH IS THE SPIRIT. THEY ARE ALL ONE AND THE SAME, THE ONE GOD. YESHUA IS ELOHIM. I have to say that the people who dreamt up this trinity business rejected Biblical Teachings of The LORD. THERE IS ONLY ONE GOD. I believe The King James Bible stands today for the official manuscript of modern-day New Testaments. The New Testament, from Matthew through Revelation was written in Hebrew by Jewish writers who loved The LORD GOD YESHUA THE MESSIAH. They knew He was Jehovah, The Almighty GOD knowing there is only one GOD. They loved Israel and they loved their Jewish People. And there was not a hint of anti-Semitism in their writings. But the original Hebrew writings of The New Testament are hidden somewhere. And for some weird reason, The New Testament was translated from the original Hebrew to Greek. And from the Greek, translated into the languages of the world. THE RANDOM HOUSE WEBSTER’S DICTIONARY DEFINES PAGANISM AS A PEOPLE OR COMMUNITY OBSEVING A POLYTHEISTIC RELIGION AS THE ANCIENT ROMANS AND GREEKS. POLYTHEISM IS THE DOCTRINE OR BELIEF IN MORE THAN ONE GOD OR MANY GODS. ACCORDING TO THE SAME WEBSTER’S DICTIONARY, THE ANCIENT GREEKS WERE PAGANS BELIEVING IN MORE THAN ONE GOD OR MANY GODS. THE ANCIENT GREEKS, A POLYTHEISTIC SOCIETY, TRANSLATED THE HEBREW TEACHINGS OF GOD IN THE NEW TESTAMENT INTO GREEK THAT WE READ IN ENGLISH AND OTHER LANGUAGES TODAY. THUS BRINGING THEIR DOCTRINE AND BELIEF OF MANY GODS INTO THE NEW TESTAMENT. THE RESULT BEING THAT THE MAJORITY OF THE CHURCH HAS ALSO BOUGHT INTO POLYTHEISM, THE BELIEF IN MORE THAN ONE GOD. THE TRINITY. These Gentile Greek translators had no understanding of one GOD. They believed in many gods. They knew of many gods. And the result is the majority of the church believe in the trinity, the doctrine of three different gods. Believing that the father, the son, and the spirit are three different and distinct gods. And from that confusion came even more confusion in New Testament translations of GOD’S Law of Moses that have The LORD’S Teachings, Instructions, and Laws written in it for all the world to live by for their good. Here’s a few examples of the lack of understanding of The One GOD in The King James Bible. The correct translation is, You shall be as GOD. The translators of The King James Bible had no understanding of the Hebrew word Elohim from which the word “gods” came from. Elohim means GOD singular when speaking about GOD Almighty, Jehovah. And elohim means gods plural when speaking of false gods. Believe me, satan knows quite well that Elohim means GOD when he spoke of GOD ALMIGHTY. NOT gods. GOD is Elohim because JEHOVAH IS THE ONE GOD Who is The Father, The Messiah, The Spirit, The Holy Spirit, Melchizedek, The Glory of GOD, at times The Angel of GOD, and much more. ALL ARE THE ONE GOD, JEHOVAH, ELOHIM. ALL ARE ONE AND THE SAME. JOHN 5.18 NO ONE IS EQUAL WITH GOD. NO NOT ONE. The correct translation is, He said also that GOD was His Father MAKING HIMSELF GOD. PHILIPPIANS 2.5-6 Again, the Gentile translators make Yeshua equal to GOD. YESHUA IS NOT EQUAL TO GOD, HE IS GOD. HE IS JEHOVAH. As a point of information. Paul was a Jewish man whose name was Saul. And he was a Pharisee, an ultra orthodox Jewish Person. And the thought of more than one god or another being equal to GOD would be preposterous to him. ROMANS 6.14-15 You are not under The Law. That is an outright lie, a deception of satan, and something Paul would never write. Everyone is under The Law. Even GOD and the angels in Heaven are under The Law. The word under has many definitions. BUT BEING UNDER THE LAW MEANS BEING UNDER GOD’S AUTHORITY. MATTHEW 7.23 This is the result of believing that you are not under the Law, and you do not live by GOD’S Law of Moses. Yeshua, Who is JEHOVAH, GOD ALMIGHTY, will say to you, “Depart from Me, you that work iniquity.” The Greek word for iniquity is anomia meaning violating and transgressing The Law of Moses. GALATIANS 6.2 THE LAW OF CHRIST IS THE LAW OF MOSES, THE LAW OF JEHOVAH, GOD ALMIGHTY. The Laws, Instructions, and Teachings JEHOVAH gave to Moses called The Law of Moses is for all mankind to live by for their good. AND JEHOVAH IS MESSIAH YESHUA WHO GAVE THOSE LAWS TO MOSES. ROMANS 10.4 Every Christian Bible reads, “For Christ is the end of The Law.” That again is a lie. And again, Paul would never write that in a million years. It is a trick of satan. Yeshua said in Matthew 7.23, “Depart from Me you that work iniquity.” You that work Lawlessness, violating The Law of Moses. That is Messiah’s goal for you. Messiah is the goal of The Law. When you came to faith in The Jewish Messiah Yeshua, THE LORD YOUR GOD put His Law in your heart, His Law of Moses. FOR YOU TO OBEY HIM. And by believing in Messiah Yeshua for Atonement, AND OBEYING TORAH, GOD’S Laws, Teachings, and Instructions, GOD will become Your GOD, and You will become GOD’S people. That is Messiah’s goal for you and me. So yes, Messiah is the goal of The Law for righteousness to everyone that believes correctly. Righteousness is a word in The Bible that means obedience to GOD’S Law of Moses. (Ephesians 2.19) Strangers and foreigners are Gentiles who become fellowcitizens with the Saints and the household or family of GOD who are the Jewish People. (Ephesians 2.20) Your foundation must be the same foundation as the Apostles, Prophets, and Messiah Yeshua. They all lived their lives according to Torah, The Law of Moses. The church and a whole lot of people in Messianic congregations need to read The Bible thoroughly starting in Genesis 1.1. And learn The Torah, GOD’s Laws, and Teachings, and Instructions and live by them. The Torah, or The Law of Moses is like GOD. It remains forever. Read Acts 15.21. The Torah is from Genesis through Deuteronomy. And discover, believe, know and understand what GOD requires of you to be in His Special Family. Learn what Yeshua means when He said “Salvation is of the Jews.” John 4.22. The church teaches grace, grace in Jesus, but Paul teaches correctly to work out your Salvation with fear and trembling. Philippians 2.12. Now that you believe in Messiah for your Atonement, start leading a GODLY life by obeying GOD, His Law of Moses. Then you will be a Holy People unto The LORD, chosen to be a special people to Himself above all the people that are upon the face of the earth. Deuteronomy 7.6. That is Messiah’s goal for you. And that goal is Salvation, eternal life in Heaven with Messiah Yeshua Who is JEHOVAH, GOD ALMIGHTY. Posted on May 17, 2015 May 25, 2015 Categories Shabbat MessageLeave a comment on YESHUA THE MESSIAH IS JEHOVAH. Shalom. Our message today from Torah, The Law of Moses is from Leviticus 19.1-2. And The Title of our teaching is, YOU SHALL BE HOLY FOR I THE LORD YOUR GOD AM HOLY. And with that said, let’s read Leviticus 19.1-2. LEVITICUS 19.1-2 And The LORD spoke to Moses, saying, speak to all the Congregation Of The Children Of Israel, and say to them, You shall be Holy For I The LORD Your GOD Am Holy. The LORD’S Words of Leviticus 19.1-2 give us a crystal clear understanding of what Messiah means when He said, Salvation is from the Jews. GOD said to The Children Of Israel who are the Jewish People, YOU SHALL BE HOLY FOR I THE LORD YOUR GOD AM HOLY. The LORD requires us to lead our lives in Holiness as GOD lives His life in Holiness. Holiness is required for Salvation. And Messiah Yeshua, THE LORD OUR GOD is our example to follow. Messiah lived by every Word of GOD. And He lived by Torah, The Law Of Moses. That is the Holiness of GOD. GOD’S Holiness is how you join yourself to The LORD. To have an everlasting name. To serve Him. To love the Name of The LORD. To be His servants who take hold of His Word and His Torah, The Law of Moses. The LORD taught the Jewish People how to be Holy as The LORD Our GOD Is Holy. The Holiness Of GOD that is taught in the Bible. Salvation has a number of meanings. Salvation means deliverance from death and hell, and from danger. Salvation is deliverance from the power and penalty of sin. Sin is breaking GOD’S Law of Moses. Numbers 5.5-6, 1 John 3.4. Salvation is victory. Victory over sin and death that leads to eternal life in Heaven. Salvation is prosperity in The LORD, and good health, and help from The LORD. And Salvation is good fortune and happiness from The LORD. And the name of the Jewish Messiah, Who is The Mighty GOD, The Everlasting Father, Isaiah 9.6(5), is Yeshua. In Hebrew, Yeshua is Salvation. So why is Salvation from the Jews? The word “from”, according to Webster’s dictionary is used to indicate source or origin. The source and origin of Salvation is from the Jewish People. Here’s why. The Jewish People have a privileged position with GOD ALMIGHTY, The Creator of the universe. By GOD’S own grace, The LORD chose the Jewish People to be a Holy People to The LORD their GOD. To be a special people to Himself. Deuteronomy 7.6. And The LORD GOD chose the Jewish People to be His servant and His witnesses to know and believe GOD, and understand that GOD is GOD. And before Him there was no GOD formed. Neither will there be after Him. That He, The LORD GOD is our Savior, and beside Him there is no savior. Therefore GOD has made the Jewish People His witnesses to the world of everything He has taught the Jewish People, and shown the Jewish People. And the Jewish People have carried out GOD’S special mission by writing the entire Bible from Genesis through Revelation for all the world to study. For all mankind to learn how to be Holy as the LORD THEIR GOD is Holy. Isaiah 43.10-12. Paul explains correctly in The New Testament that the Jewish People who are Israelites are adopted by GOD. They have witnessed the Glory of GOD. The Jewish People have received all the Covenants of GOD. And GOD has given The Law of Moses to the Jewish People for all mankind to live by. And it is the Jewish People through the Priesthood who have performed and will perform the service of GOD. And all the Promises of GOD have been given to the Jewish People. The fathers, Abraham, Isaac and Jacob from whom the twelve tribes descend belong to the Jewish People. AND IT IS THROUGH THE STUDY OF TORAH, THE LAW OF MOSES THAT THE INDIVIDUAL LEARNS THE WILL OF GOD, AND HIS HOLINESS. The Word of GOD that is written in The Bible from Genesis through Revelation by Jewish People, is a Book Of Life. The Bible gives an account of GOD’S Laws, His Statutes, and Ordinances that mankind is to live by for their good. The Bible is filled with GOD’S promises and blessings of rewards. Eternal Life to those who obey The LORD their GOD. And punishment and tribulation to those who will not obey GOD’S Laws that are written in The Law of Moses. 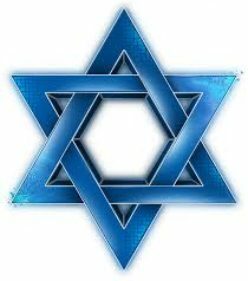 GOD gave His blueprint for existence to the Jewish People. And that is to obey The LORD GOD ALMIGHTY. Every Word He speaks. And know and believe there is Only One GOD. Salvation also comes from the witness of the Jewish Prophets, and in particular the Jewish Prophet Isaiah who wrote that a Child shall be born to the Jewish People. A Son is given to the Jewish People. And the government shall be upon His shoulder. And His Name shall be called WONDERFUL, COUNSELLOR, MIGHTY GOD, EVERLASTING FATHER, PRINCE OF PEACE. ISAIAH 9.6, HEBREW BIBLE ISAIAH 9.5. That prophesy is fulfilled in the Jewish Messiah Yeshua, Who is Wonderful. He is our Counselor. And He is The Mighty GOD, The Everlasting FATHER, The Prince of Peace. THE LORD’S special mission at His first coming to Israel 2,000 years ago, was to give His Life for a sacrifice to make Atonement for His Jewish People, and all mankind. And His special mission at His return to Israel from Heaven will be to establish His Messianic Kingdom for 1,000 years from the river of Egypt to the great river, the river Euphrates where He, Messiah Yeshua will reign as King over all the earth. Therefore Salvation is from the Jewish People through faith in The Jewish Messiah Yeshua for Atonement. And living your life in obedience to Torah, GOD’S Law of Moses. That is the narrow way that leads to life. And that is being Holy as The LORD your GOD is Holy. The FATHER is GOD. The GOD of the Jewish People, and The GOD of all mankind. AND GOD THE FATHER IS THE MESSIAH YESHUA. JOHN 14.10-11 Yeshua is explaining that there is ONLY ONE GOD. The FATHER Who is GOD, and The Messiah Who is GOD are The ONE GOD. They are ONE AND THE SAME. GOD says, For as the heavens are higher than the earth, so are My ways higher than your ways, and My thoughts higher than your thoughts. He tells us that He is The Son of GOD Who is the ONE GOD. John 9.35-37. Fulfilling all the Prophesies in Tnakh, the Old Testament, concerning the coming of the Jewish Messiah Yeshua. The reason so many enter the wide gate to destruction is because they reject the Holiness of GOD by rejecting GOD’S Law of Moses. The five virgins who were not allowed to meet the Bridegroom, Yeshua the Messiah, nor enter into the Kingdom Of Heaven had no oil in their lamps. The oil is symbolic of the Holy Spirit in which one receives by Obeying Torah, The Law of Moses. Obeying Torah results in being Holy as The Lord God is HOLY. And the five foolish virgins did not have the Holy Spirit because they rejected the Law of Moses, refusing to live by it..
Bad fruits are disobedience to GOD’S Law of Moses. Good fruits are obedience to GOD’S Law of Moses. Thus The Kingdom of Heaven is for GOD’S servants who live their life being Holy as The LORD their GOD is Holy. Living by GOD’S Law of Moses, and having Messiah Yeshua for your Atonement. Shalom. Ira Weinstein, Congregational Leader. Posted on May 10, 2015 May 14, 2015 Categories Shabbat MessageLeave a comment on YOU SHALL BE HOLY FOR I THE LORD YOUR GOD AM HOLY. UNLAWFUL SEXUAL RELATIONS AS WRITTEN IN THE LAW OF MOSES. Shalom. Our teaching this morning from Torah, The Law of Moses will come from Leviticus 18.1-11 and the title of our message is, Unlawful Sexual Relations As Written In The Law Of Moses. And with that said, let’s read Leviticus 18.1-11. LEVITICUS 18.1-2 The LORD spoke to Moses saying, speak to the Children of Israel and say to them, I AM THE LORD YOUR GOD. What is it that makes The Mighty GOD of Creation, THE GOD of the Jewish People? Let’s look back in history when GOD in His grace made an everlasting Covenant with Abraham and his descendants, the Jewish People to be The LORD THEIR GOD. Some 4,000 years ago, GOD ALMIGHTY took Abram out from the Gentiles to make a People for Himself, the Jewish People. And GOD said to Abram in Haran, a city near the Euphrates River in Babylon, today’s Iraq, Go forth from your native land, and from your father’s house to the land that I will show you. And I will make of you a great nation, and I will bless you, and make your name great, and you shall be a blessing. And I will bless them that bless you, and curse him who curses you. The word “you” or “thee” in some Bibles where GOD said to Abram, I will bless them that bless you, the word “you” applies to Abram together with his descendants the Jewish People. So Abram went forth as The LORD commanded him, and his nephew Lot went with him. And Abram was seventy-five years old when he left Haran in Mesopotamia. And he took his wife Sarai, and all the wealth they had acquired, and set out to the land of Canaan. And The LORD appeared to Abram in Canaan, and said, Unto your descendants I will give this land. And Abram built an altar there to The LORD. And The LORD appeared again to Abram and said to him, I AM THE LORD that brought you out of Ur of the Chaldees to give you this land to inherit it. And GOD made a Covenant with Abram saying, Unto your descendants have I given this land. And when Abram was ninety-nine years old, The LORD appeared to Abram and said to him, I AM THE ALMIGHTY GOD. Walk before Me and be perfect. And I will make My Covenant between Me and you. And I will multiply you exceedingly. And Abram fell on his face, and GOD talked to him. As for Me, GOD said, My Covenant is with you, and you shall be a father of many nations. Neither shall your name be called Abram anymore, but your name shall be Abraham. For a father of many nations have I made you. And I will make you exceeding fruitful. And I will make nations of you, and kings shall come out of you. And GOD said to Abraham, And I will establish My Covenant between Me and you and your descendants after you for an everlasting Covenant TO BE GOD TO YOU AND TO YOUR DESCENDANTS AFTER YOU. And I will give to you, and to your descendants after you, the land where you are a stranger, all the land of Canaan for an everlasting possession. And GOD renamed the land of Canaan, the Land of Israel when the Children of Israel arrived in Canaan from the Exodus out of Egypt, and conquered it. The Jewish People descend from Abraham, Isaac, and Jacob, and the twelve sons of Jacob known as the twelve tribes of Israel. Thus The LORD GOD calls Himself The GOD Of Abraham, The GOD Of Israel, The GOD Of Abraham, Isaac, and Jacob. The GOD Of the Hebrews, The Holy One Of Israel, The GOD Of Jacob, The GOD Of Jerusalem, The GOD of David, The Mighty GOD Of Jacob, and The Mighty One Of Jacob. LEVITICUS 18.3-5 Yeshua The Messiah said, Salvation is of the Jews. John 4.22. And these three verses of Scripture in Leviticus 18.3, 4 & 5 provide a good understanding of what Messiah means when He said Salvation is of The Jews. In these three verses, GOD said to the Jewish People, After the doings of the land of Egypt where you lived, you shall not do. And after the doings of the land of Canaan where I bring you, you shall not do. Neither shall you walk in their ordinances. You shall do My Laws and keep My Ordinances to walk in them. I AM The LORD YOUR GOD. You shall therefore keep My Statutes and My Laws which if a person does, they shall live in them. I AM THE LORD. No nation in the world and no people in the world outside of Israel and The Jewish People follow GOD’S Laws that are written in The Law of Moses. Only Israel and the Jewish People follow the Law of Moses. Yes, I know that most Jewish People do not follow the Law of Moses today. But they will agree that The Torah stands forever. No nation in the world outside of Israel and no people in the world other than the Jewish People know, believe, and understands that there is ONLY ONE GOD. And HE IS THE GOD Of ISRAEL. And that is what Messiah Yeshua means when He said, Salvation is of the Jews. Atonement and Salvation come from believing in the Jewish Messiah Yeshua together with obedience to GOD’S Laws that are written in The Law of Moses. Salvation is of the Jews. The title of our teaching is, Unlawful Sexual Relations as Written in The Law of Moses. And it is The Law of Moses that prevents unlawful sexual relations when GOD’S Laws are followed. LEVITICUS 18.6 To uncover their nakedness means, to make naked to have sexual relations. None of you, GOD’S Law reads, shall have sexual relations with your close relative. I AM THE LORD. LEVITICUS 18.7 You shall not have sexual relations with your father’s wife. She is your mother. LEVITICUS 18.8 Do not have sexual relations with your father’s wife. It is the nakedness of your father. LEVITICUS 18.9 You shall not have sexual relations with your sister, your father’s daughter, or your mother’s daughter. LEVITICUS 18.10 You shall not have sexual relations with your son’s daughter or your daughter’s daughter, for their’s is their own nakedness. LEVITICUS 18.11 You shall not have sexual relations with your father’s wife’s daughter. She is your sister. LEVITICUS 18.12 You shall not have sexual relations with your father’s sister. She is your father’s close relative. LEVITICUS 18.13 You shall not have sexual relations with your mother’s sister. She is your mother’s close relative. LEVITICUS 18.14 You shall not have sexual relations with your father’s brother’s wife. She is your aunt. LEVITICUS 18.15 You shall not have sexual relations with your daughter-in-law. She is your son’s wife. LEVITICUS 18.16 You shall not have sexual relations with your brother’s wife. LEVITICUS 18.17 You shall not have sexual relations with a woman and her daughter. Nor shall you have sexual relations with her son’s daughter or her daughter’s daughter for they are close relatives to her. It is wickedness. LEVITICUS 18.18 Do not take your wife’s sister as a rival wife and have sexual relations with her while your wife is living. LEVITICUS 18.19 Do not come near your wife to have sexual relations with her during her period of menstruation. LEVITICUS 18.20 You shall not have sexual relations with any man’s wife to defile yourself with her. LEVITICUS 18.21 You shall not sacrifice any of your children to the false god Molech, thereby profaning The Name of your GOD. I AM THE LORD. Molech was a false god, and an idol worshipped by the Canaanites by means of child sacrifice. LEVITICUS 18.22 Do not lie with a man as one lies with a woman. That is homosexuality. It is an abomination. LEVITICUS 18.23 Do not have sexual relations with an animal and defile yourself with it. A woman must not present herself to an animal to have sexual relations with it. It is confusion, and a disturbed mental state. LEVITICUS 18.24 Do not defile yourself in any of these things, because in all these abominations, the nations are defiled which I cast out before you. LEVITICUS 18.25 And the land of Canaan is defiled. And because of their abominations I have visited their iniquity, and punished them for their sin. And the land itself has vomited out its inhabitants. LEVITICUS 18.26 You shall therefore keep My Laws, and you shall not commit any of these abominations. Neither the Jewish Person or the stranger who resides among you. LEVITICUS 18.27, 28 For all these abominations have the people of Canaan done which were before you. And the land is defiled. So do not let the land vomit you out for defiling it as it vomited out the nations of Canaan that came before you. LEVITICUS 18.29-30 For whosoever shall commit any of these abominations, even the people who commit them shall be cut off from among their people. They will be destroyed. Therefore you shall keep My Laws as they are written in The Law of Moses that you do not commit any one of these abominable customs which were committed before you. And that you do not defile yourself in them. I AM THE LORD YOUR GOD. So I thought on these repulsive customs of the Canaanites, and how abominable they are. Therefore GOD gave us Laws that are written in The Law of Moses commanding us not to defile ourselves by doing any of these things. But the church has done away with the entire Law of Moses. Meaning the church has also done away with GOD’S Laws that forbid unlawful sexual relations. Why does the church reject GOD’S Law Of Moses putting their huge membership in the position of being guilty in the Presence of GOD by teaching that GOD’S Laws that are written in The Law of Moses are no longer valid? GOD’S Laws, The Proverbs say, are wisdom, and understanding, and knowledge. Having GOD’S wisdom by walking in His Law Of Moses, you will understand righteousness, and judgment, and equity, and every good path. Having no law by rejecting The Law Of Moses is to walk in the ways of darkness. My child, The Proverbs say, forget not My Law, but let your heart keep My Commandments. For length of days, and long life, and peace shall they add to you. She is more precious than rubies, and the things you can desire are not to be compared to her. Length of days is in her right hand, and in her left hand, riches and honor. Her ways are ways of pleasantness, and all her paths are peace. She is a tree of life to them that lay hold upon her. And happy is everyone who retains her. GOD’S secret is with the righteous. Those who have Atonement in Messiah Yeshua, and obey The Law of Moses. And GOD blesses the home of the just, those who live by The Law of Moses. For The LORD gives good doctrine. Forsake not His Law. For The Commandment is a lamp, and The Law is light. My child, keep GOD’S Words, and lay up His Commandments with you. Keep His Commandments and live, and His Law as the apple of your eye. GOD speaks truth, and wickedness and sin are an abomination to GOD. All GOD’S Words are righteousness. There is nothing froward or perverse in them. For blessed are they that keep GOD’S Ways. So hear instruction and be wise, and refuse it not. For whosoever finds GOD and His wisdom, finds life, and shall obtain favor of The LORD. But he that sins against The LORD wrongs his own soul. All that hate Me (by sinning against GOD) The LORD says, Love death. Posted on May 3, 2015 May 3, 2015 Categories Shabbat MessageLeave a comment on UNLAWFUL SEXUAL RELATIONS AS WRITTEN IN THE LAW OF MOSES.